Who could not be moved by the presence of Stevie Wonder at the meeting of the United Nations General Assembly advocating for greater inclusion of children with disabilities in all nations? His colleague in this request was Nguyen Phoung Anh, a 16-year-old singing star from Vietnam who gained fame through her audition for Vietnam’s Got Talent. Performing across her country under the name “Crystal,” Phoung Anh has osteogenesis imperfecta, a brittle bone disease—that’s why she calls herself Crystal. In his role as the UN Messenger of Peace, Wonder is an internationally celebrated advocate for the Convention on the Rights of Persons with Disabilities, the international treaty modeled on the Americans with Disabilities Act that somehow the U.S. has been unable to ratify. 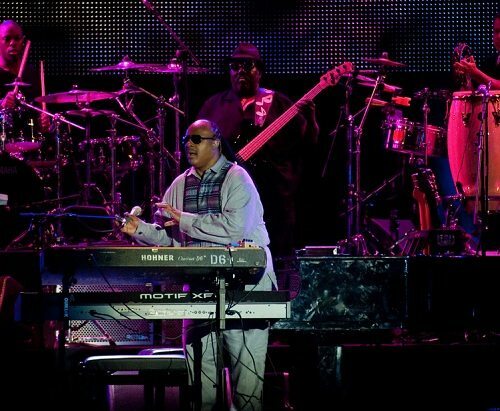 Stevie Wonder has been a star for so long that many people might not remember that he first achieved stardom as a teenager himself. Wonder’s obvious affinity for Phoung Anh is extremely moving and sincere. But their appearance isn’t just two celebrities from halfway around the world making an appearance about a cause that they’ll discard as soon as the klieg lights are turned off.